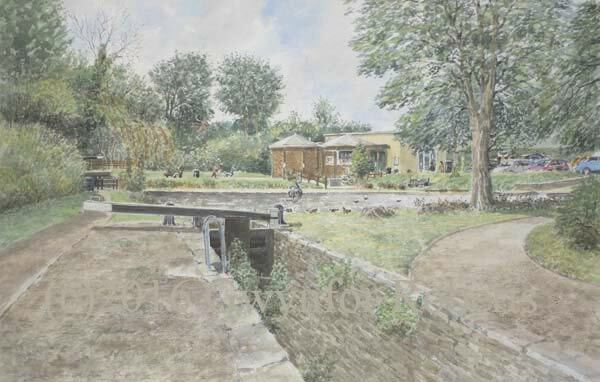 Painting of The Fourteen Locks, High Cross, Newport. This is a smashing little spot for a trip out, with a lot of history to go with it. Here, the canal lock is seen closed and although a lot of work has been carried out the canal is not in use. Still, a nice peep at what was a busy canal in the early 1900's. I can just imagine the barges queuing here to go through the lock along with their horses to tow them along.